It’s almost time for our annual symposium! 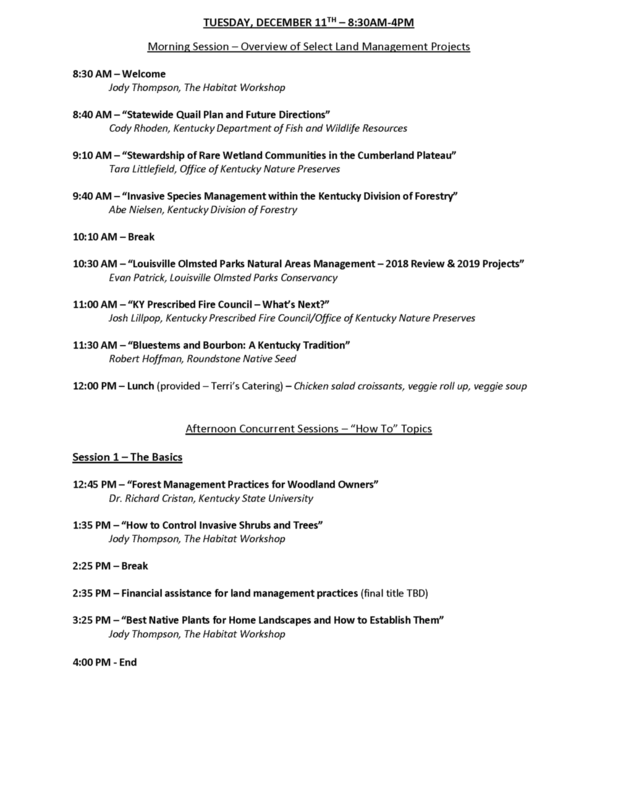 The Kentucky Habitat Management Symposium is designed for those of you getting your hands dirty and improving plant and animal habitat. On December 10-11, 2018 at the Kentucky State University Research and Demonstration Farm, we will be teaching and discussing some of the most important aspects of implementing pollinator, woodland and wildlife habitat management practices. This is our fourth year organizing this unique training opportunity. Nowhere else can you go where professional field biologists and landowners sit side by side learning and discussing conservation issues together.